I am almost ashamed to admit that the first wild crayfish I photographed in the southeast came over a year after moving to Louisiana. Despite the fact that I was in possession of Jerry Walls’ excellent book, I never got together the impetus to actually go looking until last week. Anyways, I am very glad that I did. My adventures took my to Kisatchie National Forest, one of the finest wild places I have been to in North America. 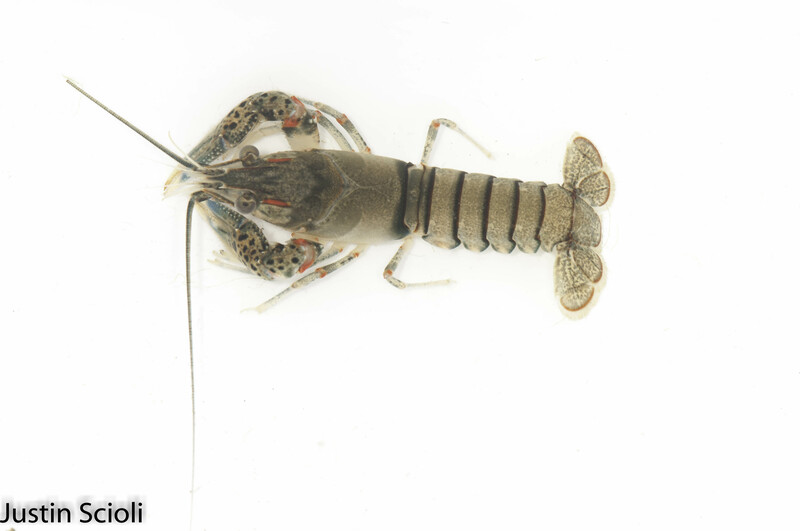 In a creek beside the Kisatchie Bayou campground, which I believe to be part of the Red River drainage, I found not one but TWO native crayfish species: The Kisatchie painted crayfish (Orconectes maletae) and the Red River creek crayfish (Procambarus natchitochae). Both of these species have limited ranges: O. maletae is found only in a few tributaries of the Red River and P. natchitochae is a bit more widely distributed but is still limited to northwestern Louisiana and eastern Texas. Despite their biogeographical scarcity, they were plentiful in the spot that we found them and they were easy to catch using a net through the shallows. Because of the latitudinal biodiversity gradient, it is typical for organisms to be most diverse in tropical regions such as Central America, southeast Asia and central Africa. There are exceptions to this, however, and the Southeastern U.S. is one of the world crayfish hotspots, and despite the fact that I study marine organisms in my own research, as a carcinologist living in Louisiana I feel that I would be remiss if I were to go without exploring the amazing assemblage of over forty native crayfish in Louisiana. P. natchitochae is part of a species complex of five very morphologically similar species (subgenus Pennides). The only way to confidently tell them apart involve the gonopods (male sexual structures) of form I males. While I didn’t examine them that closely, as they were alive and bashful, I instead distinguished them based on their locality (Walls lists this species as the only one in the complex in the Red River drainage). 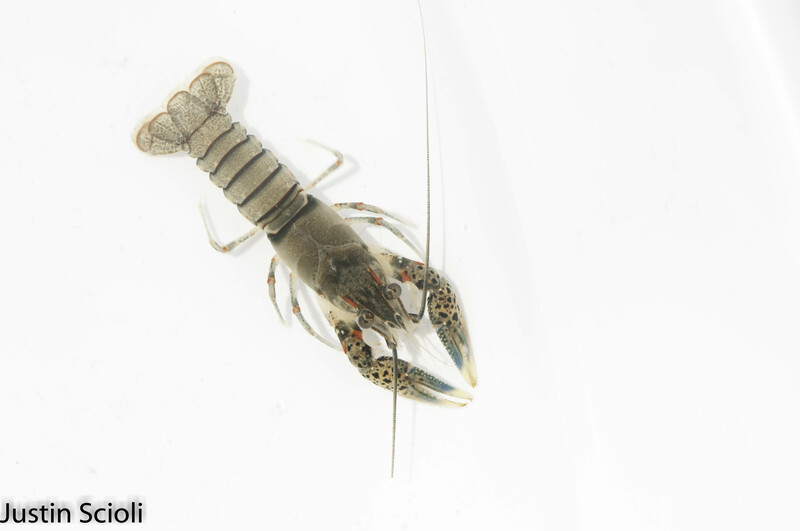 Unfortunately, much of the attention that crayfish biodiversity has received in recent years concerns their conservation and vulnerability. 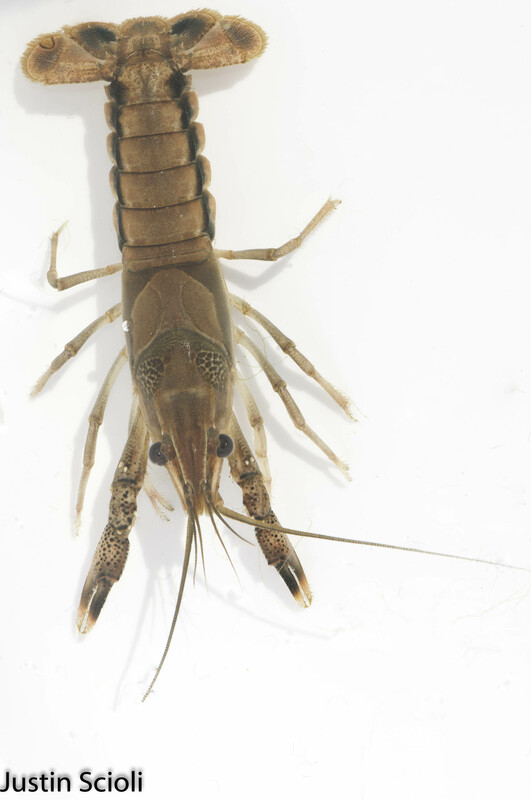 As with many freshwater organisms, many crayfish species have ranges limited to specific watersheds or drainages, and therefore they are very sensisitive to habitat loss. 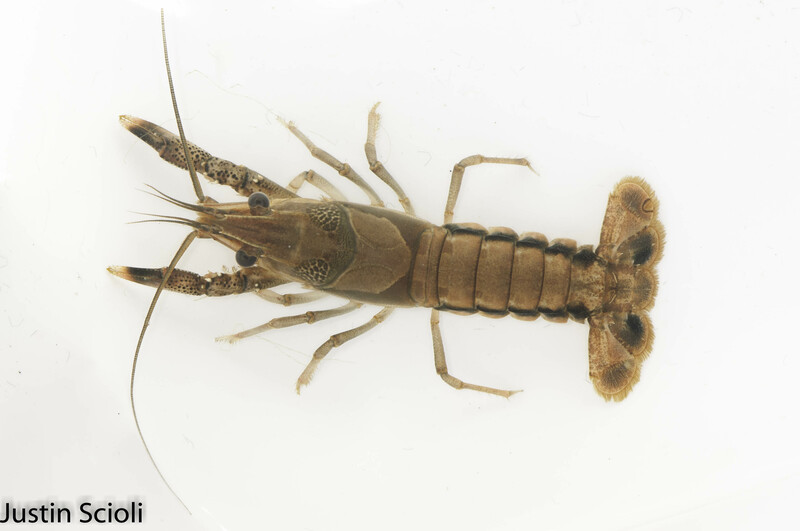 Although the IUCN red list considers O. maletae as data deficient online, the Louisiana department of wildlife and fisheries lists them as threatened. Worse can be said about many other North American crayfish species, which face threats from pollution, development and invasive species.